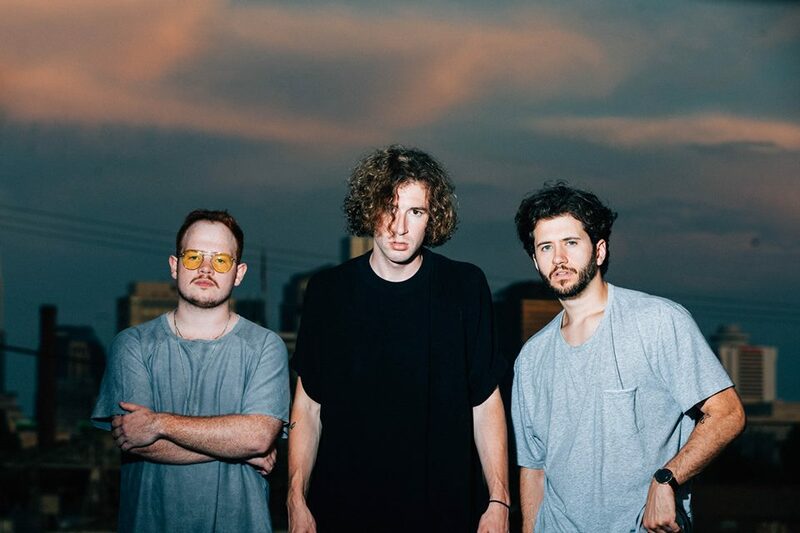 The Band CAMINO—consisting of Jeffery Jordan, Spencer Stewart, and Graham Rowel—has been making a lot of noise in the music industry lately and for good reason. They are one of the most lyrical and melodic bands I have heard in a while, but they do it in such a unique way. They confront and talk about real problems and heartbreak but in an upbeat way that doesn’t make you feel super sad when listening to it. Forming in college the band has managed to become a household name within the Alternative music world by staying true to their 80s rock inspired sound that has attracted so many loyal fans. Gaining a lot of notoriety with the release of their new single “Daphne Blue,” which cracked the Spotify Viral US Top 50, making it one of their most successful songs to date. On top of that, Taylor Swift recently added their song “Bernstein” to her “Songs Taylor loves” playlist on Spotify, giving them a lot of recognition from the playlist’s 200,000 followers. You can catch The Band CAMINO at one of their four remaining headlining shows this month, or on tour this fall with Ben Rector! You guys met at the University of Memphis, how did you all meet each other there and what sparked you guys to start a band together? Technically the band formed in college, but Graham was actually playing with Jeff in a country band before that. Spencer knew Graham from high school theater. When Jeff and Graham decided to start making music that wouldn’t fall into the category of country, we started playing with Spencer and The Band Camino was formed. The first song we wrote and played as a band was “Young”. What has been the coolest experience so far as a band? There’s not one thing, specifically. It’s more just looking back over the growth we’ve made as a band. Sure, there are some shows that stick out, but the coolest part is going back to cities and we have more fans, more fans that sing the words back to us, things like that. Where do you get your inspiration from when writing songs? Life experience. General life observation. It’s easy to write in this generation because people are continually putting their own personal stories out there for others to see. So Camino is Spanish for “Path.” What made y’all think of the name, The Band CAMINO, and what is the meaning behind it? We had a song we really wanted to put out and needed a band name last minute. Graham saw an El Camino one day and liked how it sounded. We eventually landed on The Band Camino and it’s grown on us more over time. What is each of y’all’s favorite song y’all have released and why? Spencer: “I Spend Too Much Time In My Room” for sure. It was the first one I was really proud of sonically. Graham: “California”. I’ve always loved the energy of it and it reminds me of a certain moment in time in the band’s history. Jeffery: “My Thoughts on You”. It’s my favorite to sing lyrically and melodically. If you could pick one band to tour with, who would it be and why? Who in the music industry has been the biggest help in mentoring you guys? Our manager, Jameson Roper. His work ethic and guidance is inspiring. He believes in what we’re trying to do. What is the biggest piece of advice you would give someone who was trying to start up in the music industry? Be a nice person. Don’t be afraid to be who you are. Don’t let your own ambition scare you. Find people that believe in what you’re doing. Should we be expecting anymore new songs soon? Yes! Heading into the studio in late August.